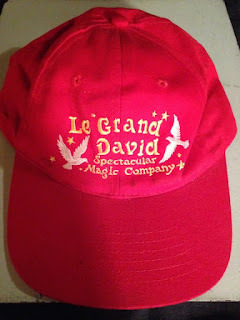 I was going through my storage unit this past weekend looking for items to write about in this blog when I came upon a treasure trove of Le Grand David things. I honestly, don't even recall a lot of it and there is much more than I'm posting here. I found programs, flyers, postcards, saved envelopes, 8x10 photos, magazine articles and more. However, the items I'll share with you today are a little different. First, we have the TIME Magazine article at the top of the page. This first appeared in TIME Magazine on May 12, 1980. 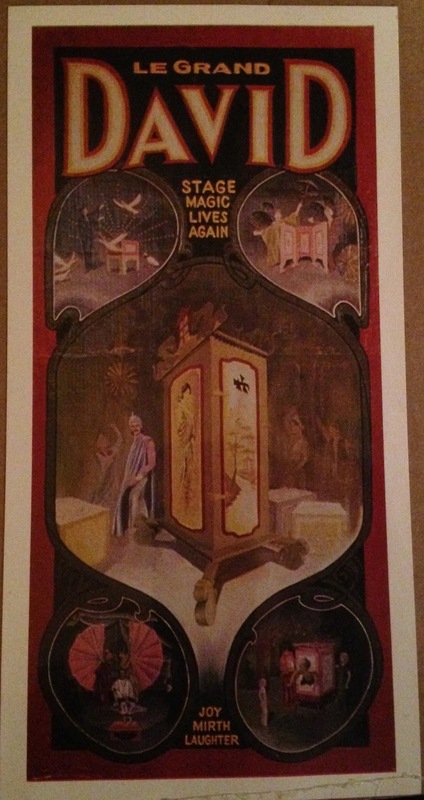 It really shows that their show was something quite different from other magic shows. Full color photos of a MAGIC SHOW graced the paged of TIME Magazine. I can't help but think that was a first! This was the companies first National exposure and I'm not sure they were expecting the deluge that would follow. As soon as the article appeared, they began to get requests from all over, and I mean all over the world, for tickets. They would sell out that theatre on many occasions, even the balcony. In fact, according to the book Carteles de Magia, Cesareo commissioned a sign to be painted that said, SOLD OUT, that they could post in the lobby window. The magic world also sat up and took notice of the show. 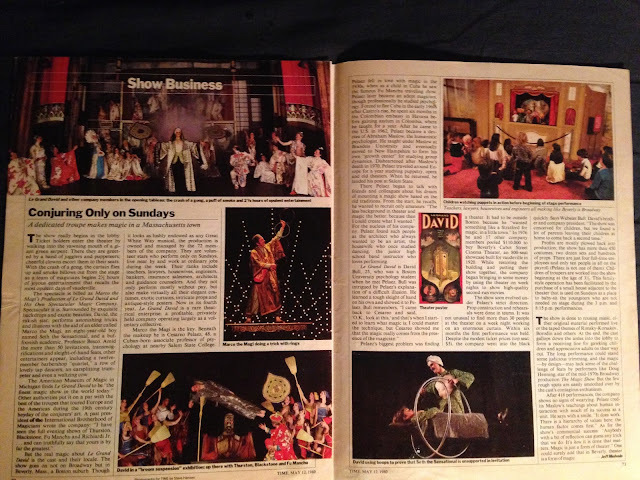 Even though they had started running 2 full page ads in Genii Magazine, the editor at the time Bill Larsen had yet to see the show. 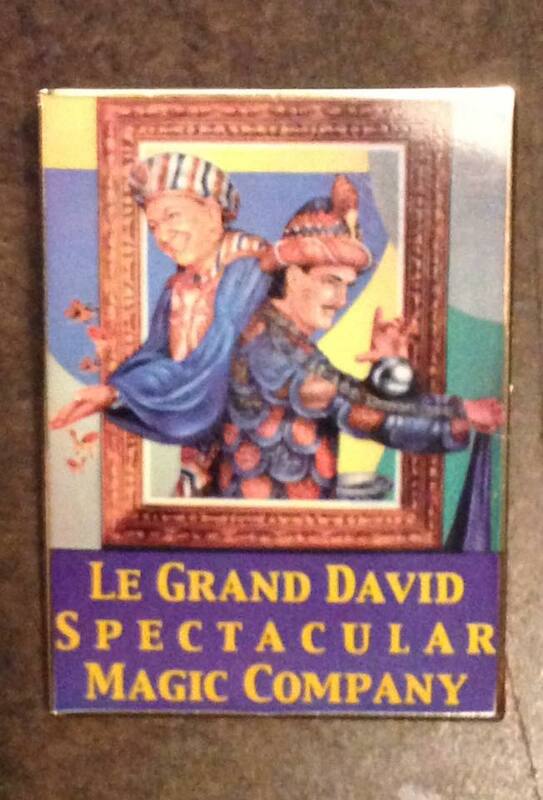 So in the summer of 1980, Bill and his wife Irene attended their first Le Grand David Magic Show. I know this for a fact because I was there. I met them during intermission at the show. It was a huge highlight for me. And then when the show was over, David Bull, who is Le Grand David, signed my copy of Genii Magazine, which I just so happened to carry with me to the show. 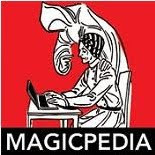 The magic press would continue to write amazing articles as would magazines and newspapers of all kinds for the remainder of the shows run. One interesting note, that now makes me a bit sad, is that after the TIME Magazine article came out, a number of Hollywood producers came to see the show. One of them even stayed for three days in the hopes of making a full length documentary on the magic show and it's company. How wonderful this might have been. But Cesareo turned them all down. I read this in Carteles de Magia, which added this quote by Cesareo, "Success and failure are two imposters." I remember him telling me about the Hollywood people and the Broadway visitors who wanted to get their hands on the show. But to quote Carteles de Magia, "Cesareo was highly unlikely to let our work diverge too far from it's original purpose." Still, the TIME article provided benefits right up until the end of the show's life. By the way, if you click the image of the article, a larger version should pop up that you can read. The next item is a Le Grand David Baseball Hat. This was given to my by Cesareo on one of my visits to Beverly. He and Avrom and Ann picked me up at the airport. We drove back to Beverly and I remember Cesareo was filled with questions for me on that trip. He and all the company were always very generous. I think they tried to give me a stack of posters every time I came up there, and I know I was not the only one who received this treatment. The hat was an unexpected gift, and I only ever wore it on that trip. When I got back, I made sure to put it in storage for safe keeping. There were three different hats offered in one of the LGD Auctions. This red version was there as well as a black and a gray hat. The very very first time I went to LGD as a kid, I remember that there were samples of the posters available for purchase behind the consession stand. But upon my visits years later, I never really noticed anything 'for sale' beyond the candy and popcorn. I do believe at the Larcom they did have a small display case however. AND Rick Heath did walk around the theatre before the show as Albert Ping Pong selling programs. Next is a mini poster print. 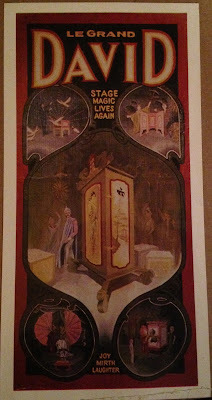 The 'Stage Magic Lives Again' poster. The actual painting for this poster was hung in the theatre for a long time. And I think it was given to Ray Goulet to display in his Magic Museum. It's a beautiful poster, and it's concept and style comes from a Nicola poster. This was a wonderful way to connect Le Grand David to the magic shows of the past, but they would soon develop their own unique style of poster. It's funny to see this tiny version when the actual poster is enormous. 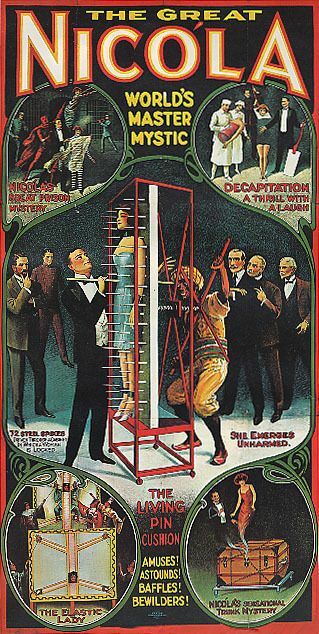 The poster depicts several scenes from the Cabot show. Upper left is the duck production. Upper right shows David and Marco presenting the Okito Production Screens. In the middle we see the wonderful Pagado that was the grand finale of the show. The lower left shows assistants with giant fans, and then the lower right is David popping out of their beautiful Shadow Box illusion. I don't know who painted this one however. There is no mention in the Carteles book as to who the artist was. Cesareo was usually the designer or came up with the concept for the posters and other company members would do the painting. Rick Heath and Bill Balkus both painted and there may have been more. Clearly they were a highly talented and creative company but Cesareo always preferred to leave the early posters unsigned because they were an collaborative ensemble effort. The final item is a small pin that I picked up on ebay. I think there were two different pins that they produced. It's amazing to me the many ways they used their artwork to promote the shows. 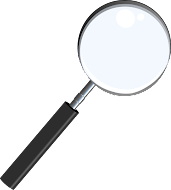 I've seen the works used in advertising, posters, flyers, programs, postcards, books, decks of cards, pins and probably ways I never even imagined. This pin shows David presenting the Zombie and Cesareo wearing his costume for the Linking Rings. Rather than holding rings, Cesareo has butterflies around him, which was imagery that they would use many times in their artwork. The pin itself is about 1 inch by 2 inches.